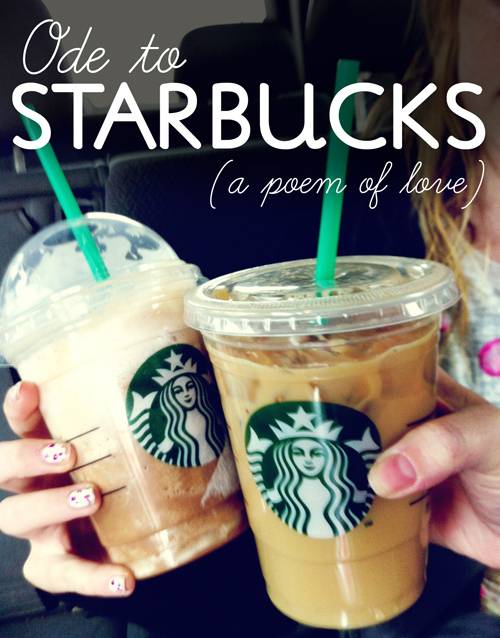 You know you’re addicted to Starbucks® when you write a poem about their caffeinated drinks! *This poem was written by my 12-year-old daughter, who is in love with Starbucks®. She wants her first job to be as a Barista. Maybe she’ll get me a discount? The flavor is the sweet smell of a red rose. Cookies and cake for everyone! Kindness comes in every drink. Favorite flavors just for you. I hope this made you smile today. Maybe you are craving a drink now? I know! And I drink more Starbucks because of my 12 year old! They will be around for a long time with all the kids who are addicted.